A heritage group is looking for funding to help unearth the history of Hapton after archaeologists uncovered possible remains of a medieval hamlet. Hapton Heritage Group wants further investigations into a possible ‘lost village’ at the site of the former Hapton Tower. The group was given a £37,200 grant from the Heritage Lottery Fund to unlock the hidden history of the village and hired an archaeologist. He found features of a settlement including ridge and furrow earthwork, plus an archaeological pattern of ridges and troughs created by a system of ploughing used in Europe during the Middle Ages. A cart track and the footprint of a large building were also found. The former Hapton Tower was built in 1510 by Sir John Towneley and had become quite derelict by 1725. It is thought the settlement could be the site of the forgotten village, originally called “Bridtwisell” which means a clearing between two streams where birds gather, located in the area the Towneley family built the tower which has since disappeared off the map. A survey of the land on Hameldon Hill was also conducted by Burnley Council when plans for new wind turbines were made for the Hameldon wind farm. 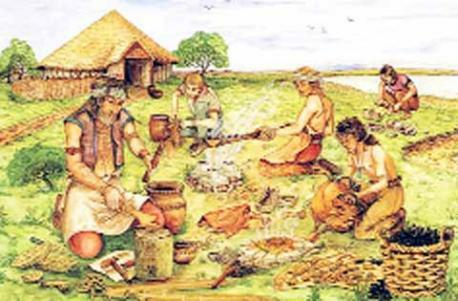 It also found possible remains of the medieval hamlet, as well as possible Bronze Age burial mounds, evidence of agriculture, and Neolithic and Mesolithic activity. Joan Lakeland, of the Hapton Heritage Group, said: “We have known for a long time that there is the ‘lost village’ of Birtwistle around the Hapton area which was abandoned, but the location has been unknown. “It is looking very interesting around Hapton Tower. There seems to be more there than just a tower as the archaeologist pointed out what appears to be the footprints of buildings there too. There are thought to be around 3,000 lost settlements in England. 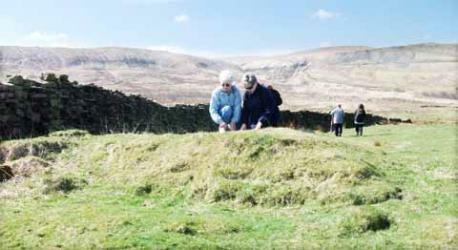 There are around 40 deserted medieval villages in Lancashire, a third of those fall within the Ribble Valley.